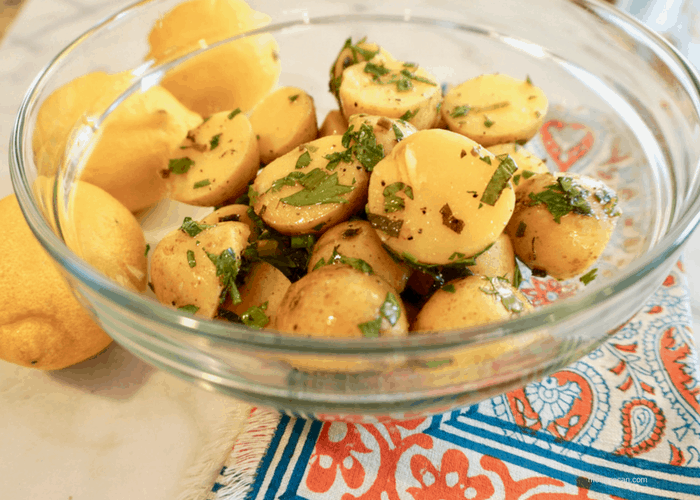 Lebanese potato salad is light and delicious with lemon and fresh herbs. It is a wonderful dish for potlucks and dinner parties because its flavor is best at room temperature. 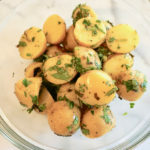 I love this dish as a busy mom because I can set aside a few cooked potatoes to mash for babies or cut up for toddlers leaving off the herbs and lemon. I love Lebanese cuisine, the ingredients always wake up a tired palate. Gathering up the sunny lemons and bright green herbs immediately lift your spirits. 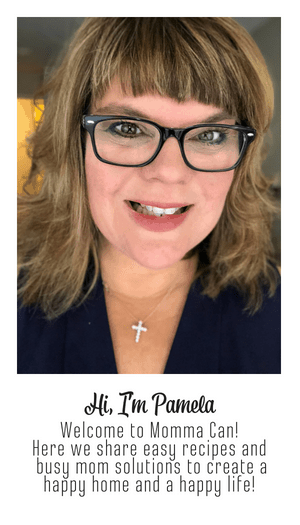 Most potato salad recipes are heavy with mayonnaise, sweet relish, and chopped eggs, leaving you feeling overly full even with a small portion. This dish is delightful and light pairing well with grilled meats or as a simple stuffing to a pita with hummus and fresh cucumber. Pictured are the fresh chopped parsley, mint, and scallion, waiting for the olive oil and freshly squeezed lemon. Scrub the potatoes, remove eyes and place them in a 2-quart pot with 1 cup of water. Bring water to a boil, let simmer with the lid open about 14 of an inch. The potatoes will be finished when the water evaporates. Keep a close watch so that they do not brown on the bottom. Grab a large glass bowl and place potatoes gentle inside the bowl. The salad would look so festive with the nice plump halved potatoes. 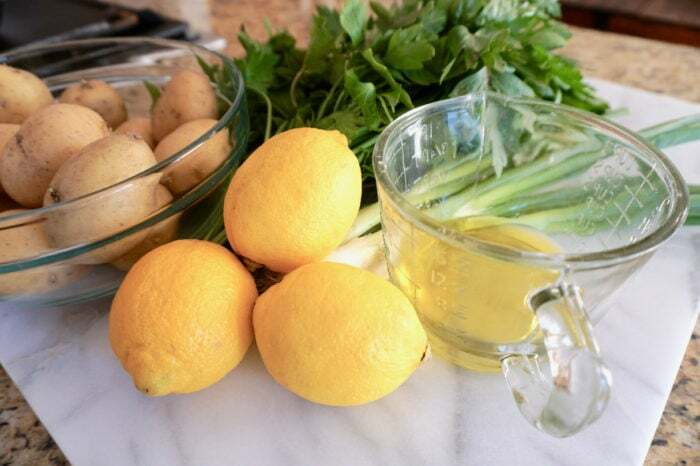 Add chopped herbs and scallions, olive oil, and squeeze the lemons over this combination taking care that seeds do not find their way into the bowl. Add a little sea salt and fresh ground pepper, about 1/4 teaspoon each. You may want a little more or a little less. Toss gently to mix ingredients. If you have a picky eater in the house set aside a few cooked potatoes. 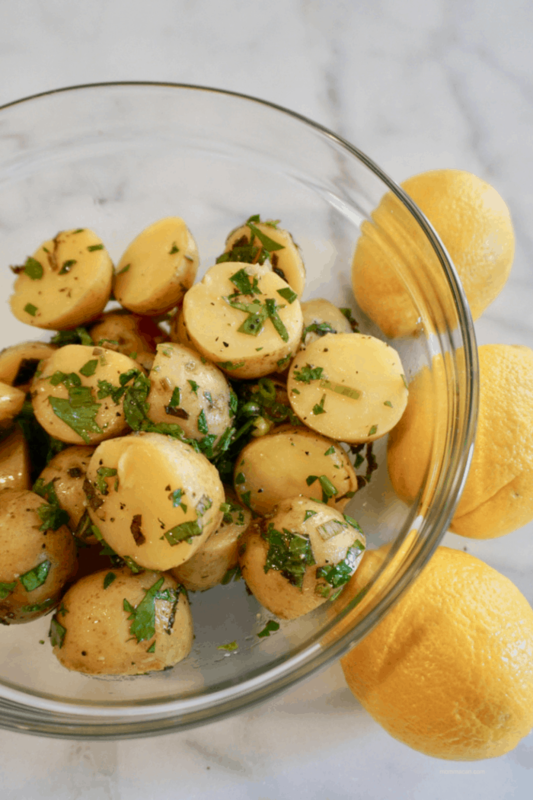 Make sure to say how yummy you herbed Lebanese potatoes salad tastes and offer them a taste. This does look lighter and fresher tasting than the North American variety. Love the thought of the mint. 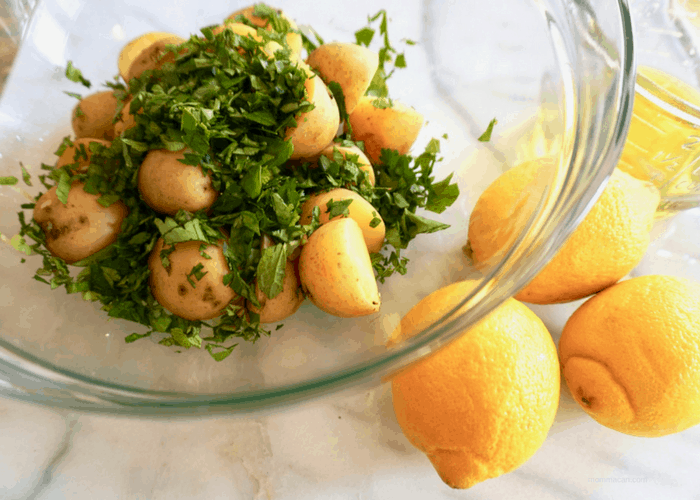 Your Lebanese potato salad looks delicious! Happily pinned to my Yummy board and shared here on the G+. Always looking for healthy less fattening versions of old favorites. Thank you!